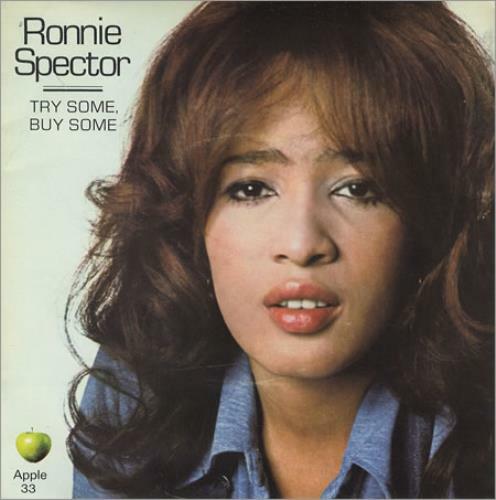 RONNIE SPECTOR Try Some Buy Some (Rare original 1971 UK Apple label 2-track 7" vinyl single with solid centre, also including Tandoori Chicken. The A-side was written by George Harrison and the B-side is a George Harrison/Phil Spector composition- both tracks were produced by George and Phil. The vinyl is in stunning near MINT condition and is housed in the now very hard to find original picture sleeve - a fabulous copy! APPLE33).